As mentioned on the "About" section of EDGY JAPAN, Japan can be described as a sponge -- its capability of absorbing cultures from all over the world. Curry, originated from India is evolved to curry rice and curry udon. Ramen, originated from China is evolved to tsukemen and aburasoba (oily noodle). 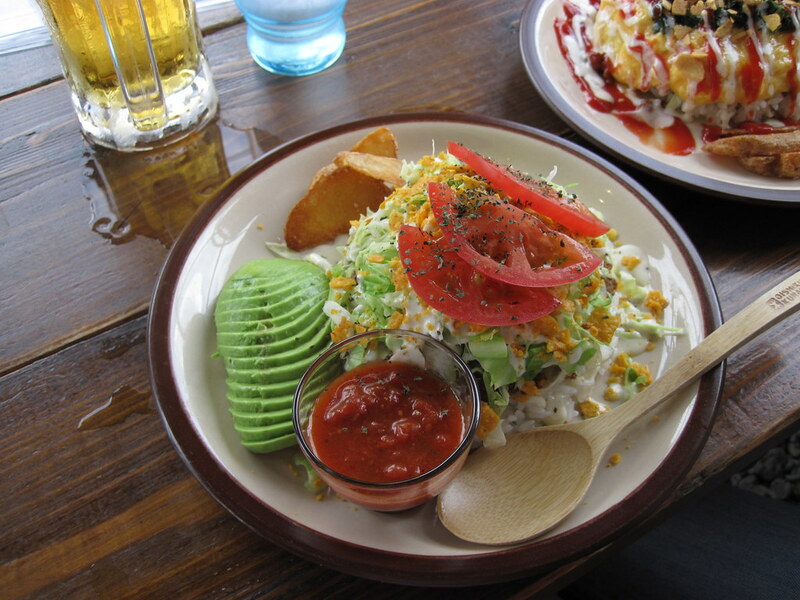 In Okinawa, Taco Rice, a mix of taco (salsa source + ground meat + onion + pepper + garlic + lettuce + cheese) and rice is ubiquitous. But a local restaurant, Kijimunaa took this dish one step further -- adding an essence of French culinary. 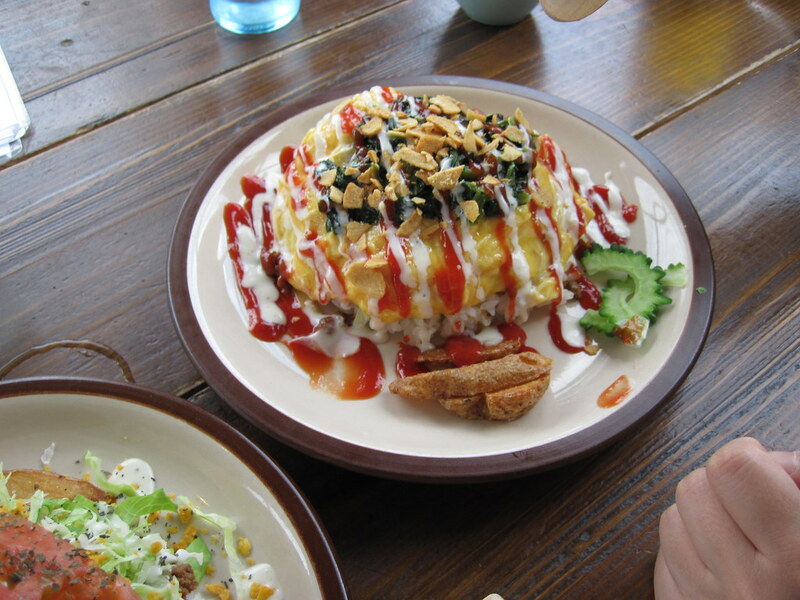 Omutaco, as the name suggests, is a mix of omelette and taco rice. 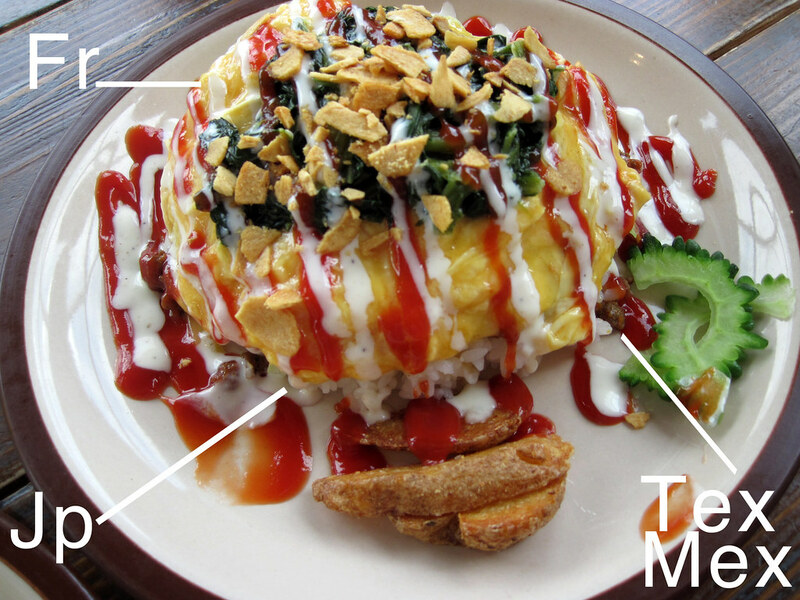 A complete serving of Taco Rice is simply covered with fluffy omelette. Indeed, this surely is a part of wide definition of Japanese food. Toppings (Spinach, beacon, corn, etc.) are also available.